2016 was the year of the Monkey. Honestly it showed. 2016 has not been a stellar year for TANSTAAFL Press in meeting our commitments. We are hoping 2017 (year of the Rooster) is off on the right foot. 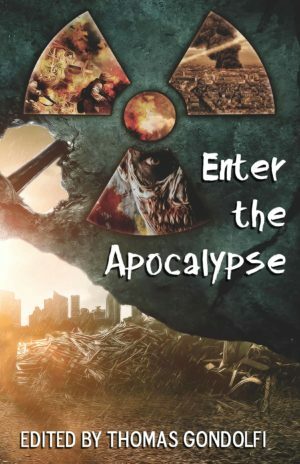 We’ve already had several successful conventions and even better, we just sent Enter the Apocalypse off to the printer. We should have print copies in hand by end of March (and maybe even a smidge earlier). We’ve started reading for Enter the Aftermath. We already have several good works ready to follow in the footsteps of Enter the Apocalypse. Tentative release date for Enter the Aftermath is September. BTW our convention schedule has been updated for 2017. We have another busy year, but not an insane year like 2016. I don’t want any more monkeys this year (except maybe SciFi Monkeys). Is this age appropriate for my…. Enter the Apocalypse is here!